Deep Cuts returns to Jacaranda Records Phase One on April 4, Getintothis’ Peter Guy reflects on the state of play inside our own bunker. We had a fascinating conversation the other week with Jayne Casey and Eric Gooden at District recently. The floor was open and we listened and somewhat agreed. We can, and maybe should try harder. ‘If Rā [her son]was here he’d laugh,’ says Jayne. Referring to our insistence that we try to provide not just balanced but representative music and arts coverage of what’s going down in Liverpool and the wider region. The conversation makes us think of our ten year reflection on the 101 musicians that shaped Merseyside during our first ten years of publishing – this writer still stands by the selection and considers it a well balanced and fair summation – you can judge for yourself here. We can only play it, as we see it. However, maybe we are wide of the mark – or at least not as close to the true reflection as we think. Yet, we definitely try. There unfolds a pragmatic conversation, with myself on the back foot, and two older, wiser people who see the wider bigger issue. It’s a sobering conversation. We’re into it. And feel somewhat despondent – we defo need to try harder. Perhaps the issue is not just what us and our demographic buy into but also trying to reach out to a readership who always feels they’re not represented not just in press terms but opportunities and a platform. From this writer’s point of view, we should try harder. But it is a very hard slog, to attract women writers, let alone those who are in the minority is something we are always pushing but find it a hard battle. We will continue to do so. And I hope you find Getintothis as something which offers hope and encouragement – at the very least, a broad church of new music. If not. Then maybe drop us a line – we would like to change that. 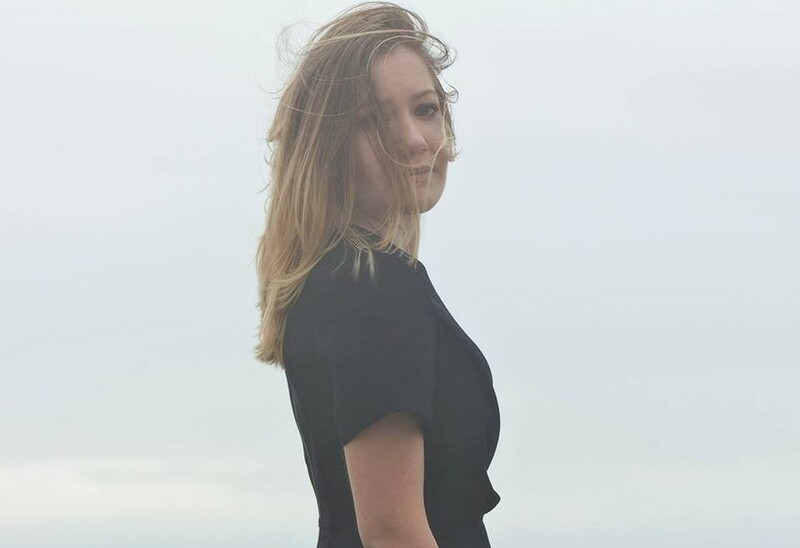 Deep Cuts this month is another feast of new music – of course we would say that – but we’re sticking to our proverbial guns – in selecting the finest underground talent. Five top rate bands this month occupy our table of riches – and for once, this writer isn’t going to spell it all out – we want you the reader to invest – enjoy it with us – voyage with us on this ship of discovery. The gig is on Thursday April 4 at Jacaranda Records Phase One from 7pm. Tickets here. The added bonus ball this month is the return of a Merseyside maverick – it’s a kinda secret first show which any Columbo types may pick apart the clues. All’s we’ll say is Mosely Bar (rock & roll), Cowgirl (wild college pop), Douglas Savage (downbeat lo-fi psychedelia), Darling (exquisite string-led electronica) and our unknown maverick Kingsp1n (we’ve no idea) will all be on show. There’s also ROY – who will be telling his debauched tales of Scouse street antics complete with all manner of filth, fury and fantastical wit. You’d be a fool to miss out. 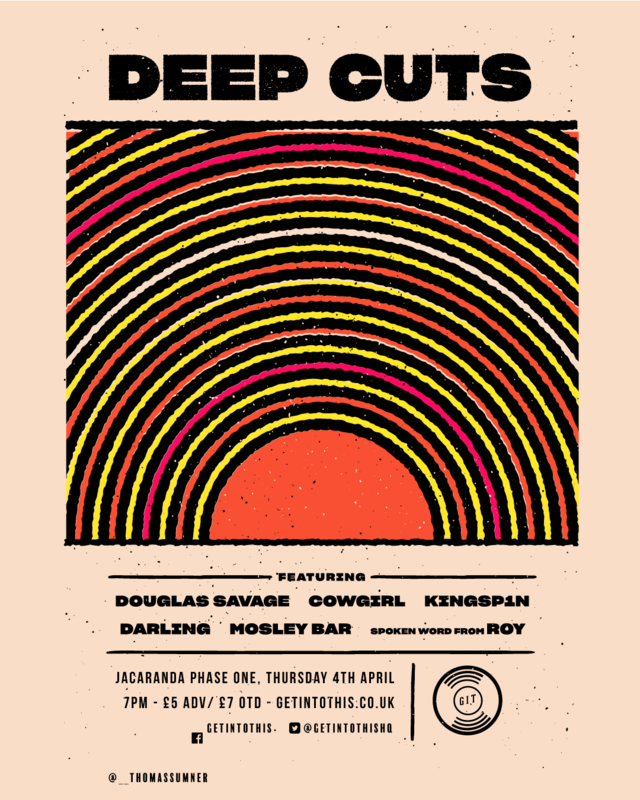 Deep Cuts April 4 – featuring Cowgirl, Douglas Savage, Darling, Mosely Bar, Kingsp1n and spoken word courtesy of ROY. £5 ADV / £7 OTD. Tickets here.